After the 2015 season, Walt Disney World’s Osborne Lights, the signature Christmas at Disney’s Hollywood Studios event went dark. The streets and sets where millions of twinkling dancing orbs that made up the Osborne Family Spectacle Of Dancing Lights were closed to make way for new attractions. Now, in 2017, Walt Disney World announced new Christmas at Disney’s Hollywood Studios events including a projection mapping light extravaganza all along Sunset Boulevard including the Twilight Zone Tower of Terror. Take a look at the video below for your first look at the new projections for Christmas at Disney’s Hollywood Studios, and continue reading for more details from Walt Disney World’s press release. A flurry of fun will greet Guests visiting Disney’s Hollywood Studios this holiday season. Festivities will include an immersive new nighttime experience that wraps all of Sunset Boulevard in holiday magic with jolly decorations, merry treats and beloved characters sharing their love for the holidays. It’s all part of the holiday happenings that will take place Nov. 9 to Dec. 31. Guests will also enjoy returning seasonal fun throughout the park, including the popular “Jingle Bell, Jingle Bam!” nighttime projection and fireworks show and special holiday meals and dessert parties. Of course, Santa will be there too! NEW! Sunset Seasons Greetings – This new holiday experience features spectacular projections of Mickey, Minnie and other beloved Disney characters sharing their favorite Christmas stories as a snowy Sunset Boulevard twinkles with stunning holiday decorations. Holiday magic brings billboards to life and transforms the famous Hollywood Tower Hotel into scenes of the season – a giant pile of Christmas gifts, a gingerbread house and a frozen winter wonderland! A frosty summer-loving snowman might even make an appearance to share his holiday wish! This fantastic and heartwarming experience runs continuously throughout the night. NEW! Enhanced holiday décor around Echo Lake – Extra-large ornaments, colorful garlands and a giant Christmas tree centered on the water will make Echo Lake the merriest of places this holiday season. Even Dinosaur Gertie will be dressed for the occasion with a dino-sized Santa hat. “Jingle Bell, Jingle BAM!” Returns – The hit holiday show returns Nov. 9 sending beloved Disney animated characters on a spirited yuletide adventure to get Santa back to the North Pole in time for Christmas Eve. “Jingle Bell, Jingle BAM!” combines state-of-the-art projections, fireworks, special effects and Christmas music to create a dazzling, one-of-a-kind holiday experience for guests – capped by a special message from Santa himself. “Jingle Bell, Jingle BAM!” Dessert Party – Guests can wrap up their jolly holiday evenings with reserved viewing of the “Jingle Bell, Jingle BAM!” nighttime spectacular. The nightly party includes holiday-inspired snacks, delicious desserts, wine, beer, and specialty alcoholic and non-alcoholic beverages. A surprise Disney character will also join the fun, posing for pictures and signing autographs. This fun-filled special event is offered Nov. 9-Dec. 30, 2017. Book online at DisneyWorld.com/dining or call (407) WDW-DINE. “Olaf’s Frozen Adventure” opens in front of Disney•Pixar’s original feature “Coco” in U.S. theaters on Nov. 22, 2017. ©2017 Disney. All Rights Reserved. Minnie’s Holiday Dine at Hollywood and Vine – Meet Minnie, Mickey, Daisy, Donald and Goofy for lunch and dinner celebrations centered on seasonal deliciousness. From Nov. 6-Jan. 7, the mouse-with-the-mostest will deck the halls for a banquet filled with holiday cheer and the joy of the season! 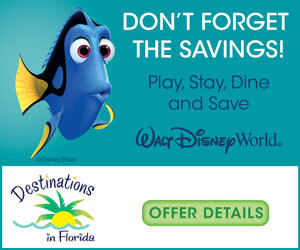 To make a reservation, check availability and book online at DisneyWorld.com/dining or call (407) WDW-DINE. Santa Claus returns to the Once Upon a Time shop Nov. 9-Dec. 24 – The beautiful and vintage setting of the Once Upon a Time shop recalls bygone days of Santa’s visits to great department stores across the country. Santa will be at the shop daily to greet guests and listen to holiday wishes. Santa Goofy will step in Dec. 25-Dec. 31 after Old Saint Nick returns to the North Pole. What do you think of these new additions for Christmas at Disney’s Hollywood Studios? Will you miss the Osborne Lights? Leave your thoughts in the comments below. For more family travel news, reviews, and trip reports, be sure to follow Adventures by Daddy on Instagram, Twitter and “like” our Facebook page, too. Wish there was a way to convince WDW to bring back Osborne Family Christmas Lights, complete different direction by looks of the new videos.